2forU Design offers photography for business and home. High quality work by talented and experienced photographer, Heidi Atanasov, showcases your restaurant, resort, retail shop, cottage, custom built home and more. As a commercial photographer, Heidi has learned how to make your business or home look its best. She understands composition and lighting, and has the equipment and extensive Photoshop editing knowledge. If you are a design professional — an architect, an interior designer or a contractor, for example — consider hiring Heidi to showcase your work which will enhance your portfolio, attracting and engaging clients. 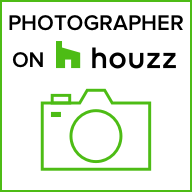 Heidi began offering commercial photography services several years ago for the lodging industry and has expanded to area restaurants and building contractors. She calls it “cottage photography” in reference to local Door county tourism and summer residents. View an example of Heidi’s photography combined with her graphic and web design, here, Peninsula Park-View Resort. Please click to view current work. New samples added monthly. Clients include Peninsula Park-View Resort, Fish Creek Beach House, Robin’s Nest Cottages, Arroyo, Java Hut Cottage & Blue Horse Beach Cafe, Bayside Tavern, G.A. Computer Services, J.A.R. Builders.